Viking Books for Young Readers, 9780451476333, 400pp. An eerie gothic fairytale with a World War II setting and magic at its heart-- and the recipient of four starred reviews and multiple honors. Twelve-year-old Katherine Bateson believes in a logical explanation for everything. 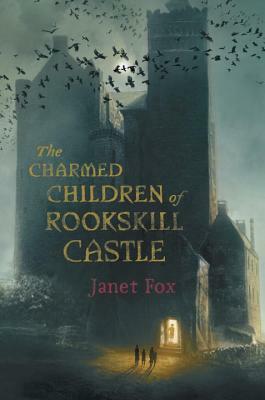 But even she can't make sense of the strange goings-on at Rookskill Castle, the drafty old Scottish castle-turned-school where she and her siblings have been sent to escape the London Blitz. What's making those mechanical shrieks at night? Why do the castle's walls seem to have a mind of their own? And who are the silent children who seem to haunt Rookskill's grounds? Kat believes Lady Eleanor, who rules the castle, is harboring a Nazi spy. But when her classmates begin to vanish, one by one, Kat must face the truth about what the castle actually harbors--and what Lady Eleanor is--before it's too late. Selected for the Spirit of Texas Reading Program, a finalist for the Pacific Northwest Booksellers Association Award, and more, this tale of magic and power has charmed readers everywhere. Janet Fox is a former teacher and a writer of fiction and nonfiction. She is the author of the award-winning Get Organized Without Losing It, written for middle-school children. She has written three young adult novels, Faithful, Forgiven, and Sirens. She is a graduate of the MFA/Writing for Children and Young Adults program at the Vermont College of Fine Arts. Janet lives with her husband in the mountains of Montana.